8 Limbs is proud to offer a weekly gathering for those interested in furthering their Yoga practice with the more subtle teachings of Pranayama (Extended Breath), Meditation and the philosophical study of the Yoga Sutras. Each evening we will work on a specific Pranayama to help focus the mind and shift the energetic body, sit for various types of meditation and explore the inner workings of consciousness with teachings from the ancient text of the Sutras. There will be time for sharing through out all of the practices in an effort to build a communal understanding of our work together. The gatherings are open to anyone interested in going deeper into the science of the Yoga system. Previous experience is not required, just an open mind and a willingness to create stillness for the practices. Jenny Hayo has been studying Pranayama, Meditation and the Yoga Sutras with her teacher Jo Leffingwell for over 10 years. In the tradition of Dana, generosity, class is offered on a by donation basis with a suggested donation of $10 cash. No one will be turned away for lack of funds. 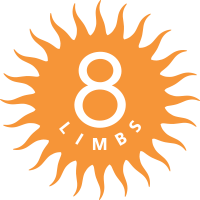 8 Limbs punch cards and memberships are not applicable.